climbs. Watch out for people walking on this trail. Review: Great place to get a pace on or for beginners. Great spot to get connected to all the trails in and around Cape E.
Review: Great trail for beginners, there is a fun downhill section and then there are moderate climbs with a few technical spots and some wooden bridges. 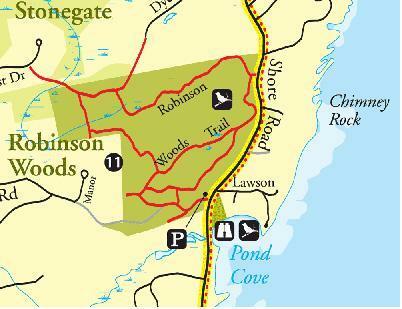 Robinson Woods MTB Trail 4.00 out of 5 based on 2 ratings. 2 user reviews.